Never has an exclusive opportunity like this existed; a rare combination of unsurpassed luxury and amenity, unrivalled location and unprecedented economic growth. Emphasising space, light and contemporary style, each apartment is superbly crafted to embody luxury and comfort, designed to deliver the ultimate in beachside living. 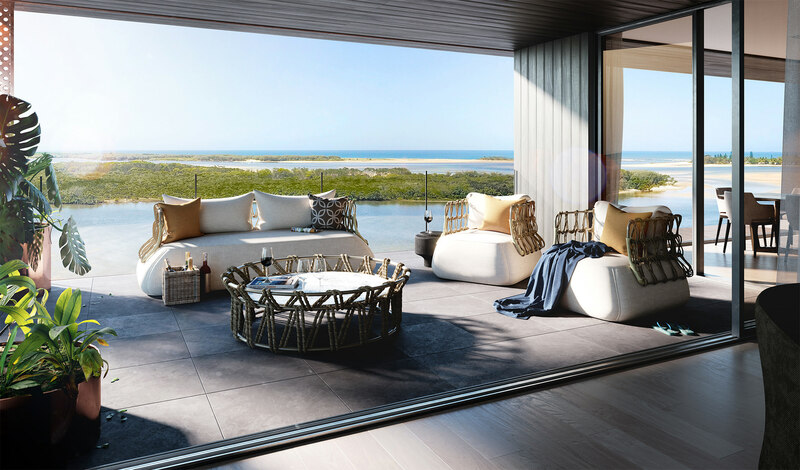 Featuring distinctively flawless styling, every intricate detail down to the prestigious inclusions and finishes sets a new benchmark in coastal style. Immerse yourself in an active waterfront lifestyle, all year round. Surfing, paddle-boarding, kayaking, jet-skiing, fishing. It would be hard to imagine a more idyllic place to live. On one side, an outlook to rival anywhere on the Sunshine Coast, on the other, a city of the future and a gateway to every convenience you could ever need. Life should be about reward.